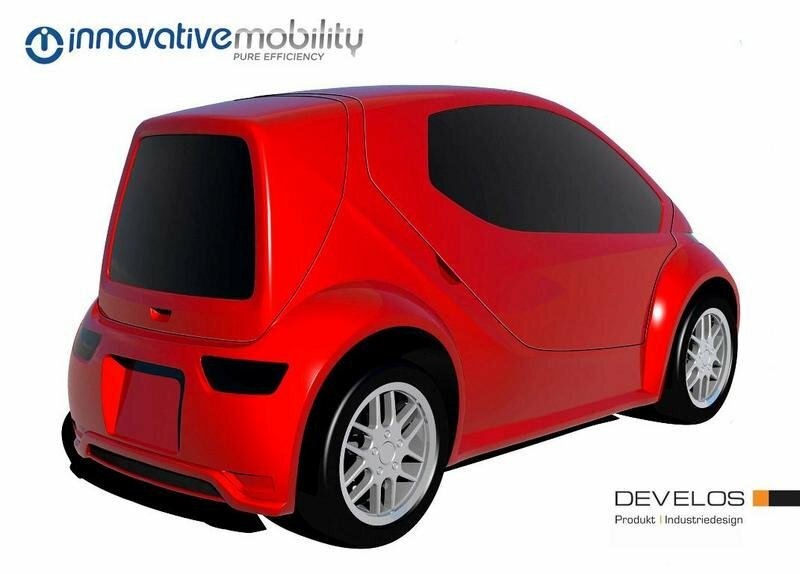 The Germans from Innovative Mobility Automobile GmbH have developed a new small electric vehicle in cooperation with five other partners. The new vehicle was named the Colibri and features a plastic body built on a strong magnesium frame. The development of the new Colibri began from a research made on today’s mobility behavior. According to this research, the majority of people use individual means of transportation in their everyday lives and most of the time each vehicle is driven by only one person. Moreover, a person makes daily travels of less than 55 km (34 miles). 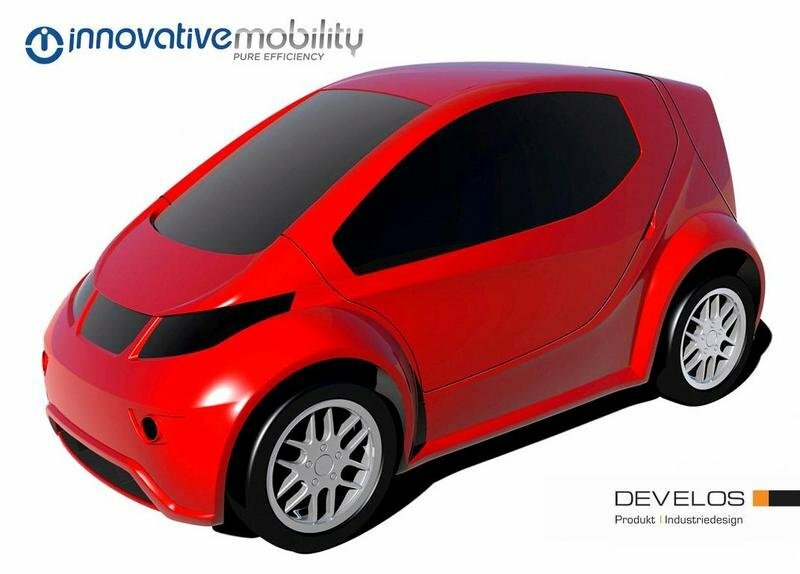 Starting from these facts, Innovative Mobility Auto developed an ultra efficient vehicle that offers a range of more than 100 km and is able to transport only one person. Under the plastic body, the Mobility Colibri is equipped with a 12 kW electric motor, powered by a lightweight pack of lithium iron phosphate batteries that weighs only 50 pounds. The vehicle is expected to be available on the market in 2014. Hit the jump for more information on the Innovative Mobility Colibri. Measuring just 2.63 meters long, 1.12 meters wide, and 1.32 meters tall, the Mobility Colibri is a very small vehicle. In fact, it’s even smaller than a Smart Fortwo. To keep the vehicle’s weight low, the entire body is made of plastic, while the windows are also made of lightweight polycarbonate. Thanks to the intensive use of lightweight materials, the entire car weighs only 280 pounds. Naturally, such a lightweight car should leave its occupants pretty exposed in case on an accident. Though, the company claims that despite this fact, the Colibri will be one of the safest city cars in its class, as it features a strong magnesium frame with a special structure that will be able to meet the latest Euro Ncap safety standards. The exterior design features a fairly modern style with the wheels pushed far out at each corner, thus forming ultra short overhangs which give the car better on road stability. The short nose is combined with a raked windscreen, while the roof lines slope downwards towards the rear, forming a fairly aerodynamic shape that cuts easily trough the air. Out back, you’ll find a big hatch fitted with a wide glass area and a set of elongated taillights. For the moment, we don’t have any detailed interior pics, but given the fact that the car is fitted with a single seat, you can expect it to be pretty spacious despite the compact exterior dimensions. However, the company did reveal that the Colibiri’s trunk will offer 180 liters / 6.35 ft³ of cargo volume, which is a decent figure for the class. We also know that the seat will be electrically powered to fold back every time you climb on board and then to come back to its initial position, assuring easy ingress and egress. The Innovative Mobility Colibri was designed to offer maximum efficiency for its driver and the company states that it consumes only four kWh per 100 kilometers. This performance was achieved thanks to the intense use of lightweight materials for the body and a compact battery. At the heart of the car sits a 12 kW electric motor which accelerates from 0 to 50 kmph in 4.8 seconds, while the 100 kmph mark is reached in 9 seconds, a pretty good performance for a city car. The maximum speed is electronically limited to 100 kmph, so you can even venture on the highway from time to time, if you want to stretch your legs a little bit. That being said, don’t plan any long trips as the 6.3 kWh lithium iron phosphate battery pack offers a range of only 120 km, which is good for a quick spin around the city, but pretty limited for long distance travels. The batteries weigh only 50 pounds and can be fully charged in just 2 hours on a 220 V household socket or in less than twenty minutes to 80 % capacity on a fast charging station. The battery lifespan is set at 1,500 charging cycles, which corresponds to 180,000 km. The company estimates that the first Colibri prototype will be ready by the end of this year. Though we’ll have to be patient and wait a little more to see it in showrooms, as it will not be launched on the market before 2014. Fortunately, Innovative Mobility did reveal that the Colibri will cost only 7900 euros. The bad news is that to this cost you’ll have to pay extra money for the battery which is estimated at around 3000 euros. At least the company is ready to make a compromise and offers the possibility to pay a 49 euros rate per month for the batteries (for a period of five years). The focal point of the car is to give the driver maximum efficiency and mobility, and judging by the specs revealed by the manufacturer, the Colibri will be able to do its job with dignity. Moreover, we also like the modern exterior design and the fact that despite its light and compact nature is still a safe car to drive.